Wildlife Defence League’s #TrophyFreeBC Initiative seeks to ban the hunting of cougar, lynx and bobcat. Cougar, also known as puma, mountain lion, panther or catamount, is a large cat species. Its range, from the Canadian Yukon to Patagonia, South America, is the widest of any large wild terrestrial mammal in the Western Hemisphere. 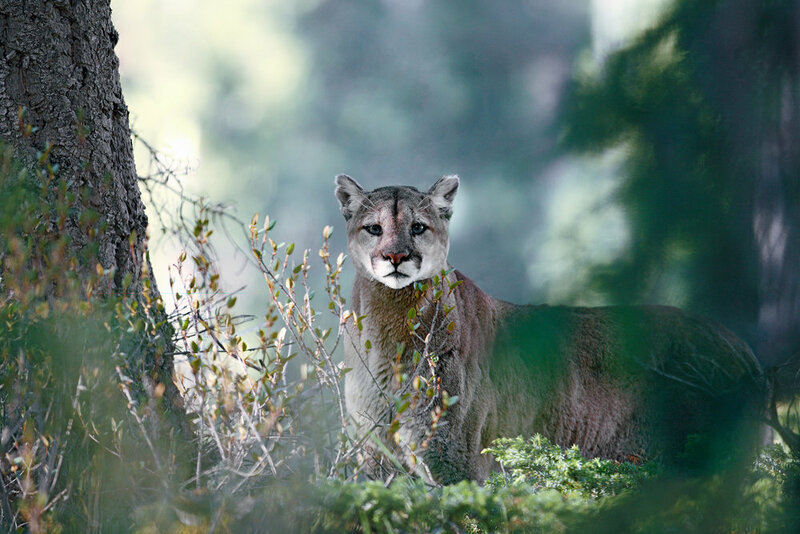 Despite intense exploitation from humans, efforts to address over-hunting have allowed cougars to recover in significant parts of their historical range. Still, conservation and welfare concerns for the species persist. 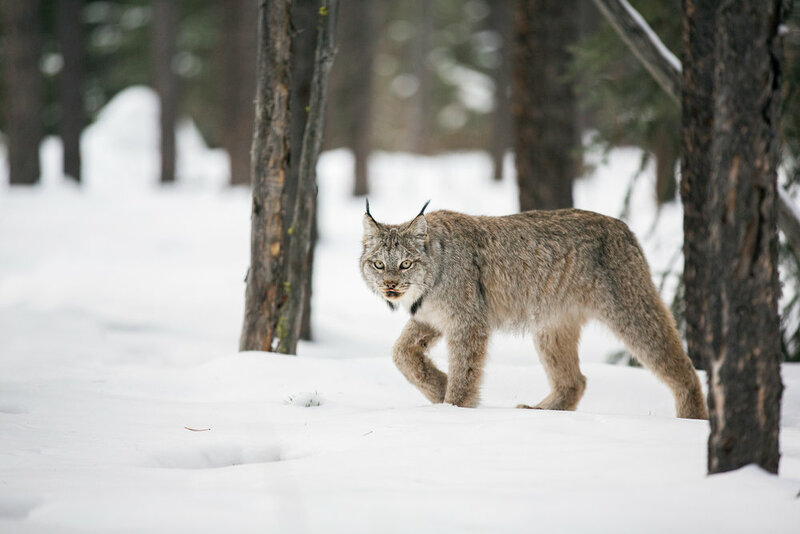 Canada Lynx live in forested wilderness areas. The species relies almost exclusively on snowshoe hare for prey. 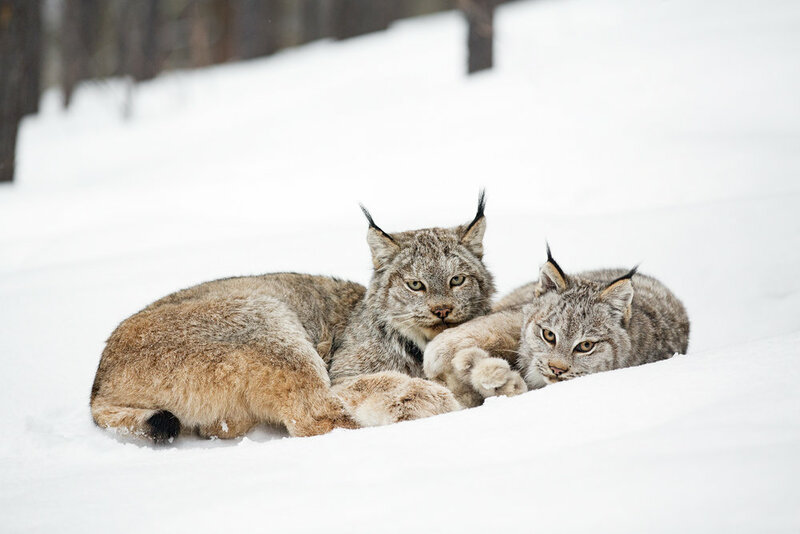 Lynx are trapped for fur and killed for trophy in most of their range. Bobcat, one of three of Canada’s cat species, have a more southern distribution and occupy a wider range of habitat than lynx. Their diet is primarily made up of hare. Like lynx, bobcats are trapped for fur and killed for trophy in most of their range. Using hounds to hunt predators puts the dogs at an unnecessary risk of being killed or injured as they give chase. Hounds cannot differentiate between a cougar, lynx, bobcat or bear that does or does not have young. In chase scenarios, mother cougars, lynx, bobcats and bears will at times lead hounds away from their young, leaving them at risk of being orphaned when hunters shoot their mothers. Washington State, Oregon and California have outlawed hound hunting as these states believe it doesn’t fall under the category of fair chase. Using GPS technology gives hound hunters an unfair advantage and should not fall into the category of fair-chase. In the Kootenay region, when hunters have reached their cougar, lynx or bobcat “quota” for the season, they’re still permitted to let their hounds chase cats in a pursuit only season. The justification behind the season is simply to allow hunters to train and exercise their dogs. The pursuit-only season amounts to legal harassment of wildlife, causing unnecessary stress to big cats that may compromise their physiology. Sign the petition to end the trophy hunting of cougar, lynx and bobcat in British Columbia, Canada. If you’re a citizen of British Columbia, write to your MLA and politely ask them to ban the trophy hunting of cougar, lynx and bobcat. If you’re a supporter outside of British Columbia or Canada, please write to our Premier, Honorable John Horgan, politely asking him to ban the trophy hunting of cougar, lynx and bobcat. 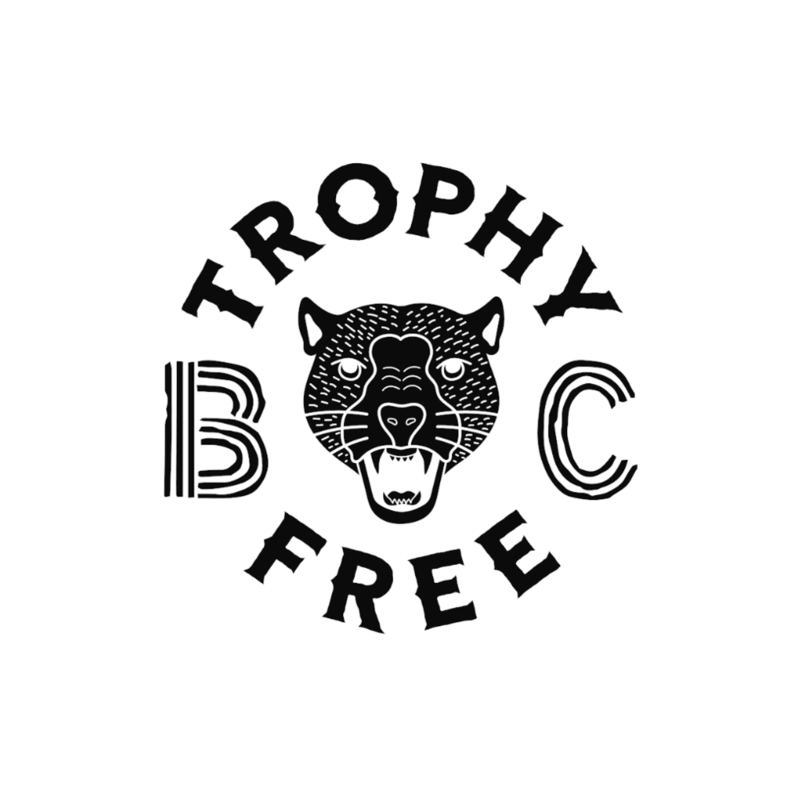 Purchase a Trophy-Free BC t-shirt to show your support!